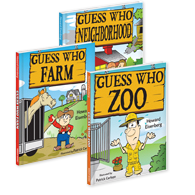 First Fun Books for Early Readers, Children and Kids, like "Cat in the Hat"
Why do kids (parents, too) love Guess Who Books? Animals tell their stories... kids guess their names. Special sections: "If Animals Could Talk.."
They're "fun that educates" with a clue in every line. I wear no shoes. I need no socks. Is a school of fish. That's lunch for me. 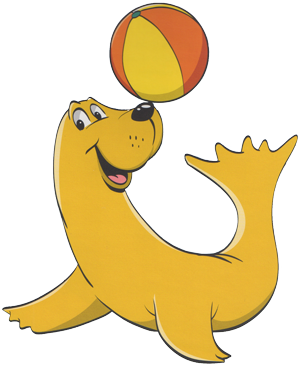 To spin beach balls upon my nose. It's really easy for a __________. Internet Mommy Bloggers have strong opinions. Phone or email me at 212-362-8040 or sirhowardeisenberg@gmail.com.